A marine ecologist says new satellite mapping should be introduced to help identify and halt the rapid decline of coral reefs. Phil Dustan has been investigating coral reefs for almost 40 years, since famous marine ecologist Jacques Cousteau warned him in 1974 that humans were destroying reefs. Dr Dustan, now a University of Charleston biology professor, in the United States, believes that by using Landsat satellite mapping the declining reefs, hotspots can be identified and conservation measures put in place. He says, "There is no reason that a form of temporal texture monitoring could not be implemented with current satellites in orbit." Most coral reefs are located in shallow water and can be seen by satellites through passive remote sensing. However, coral, sand and water all reflect light and satellites do not provide the level of spatial or spectral resolution required to separately identify them. Rather than trying to classify the complex ecosystems, Dr Dustan studies the changes and variations in reflectance levels. 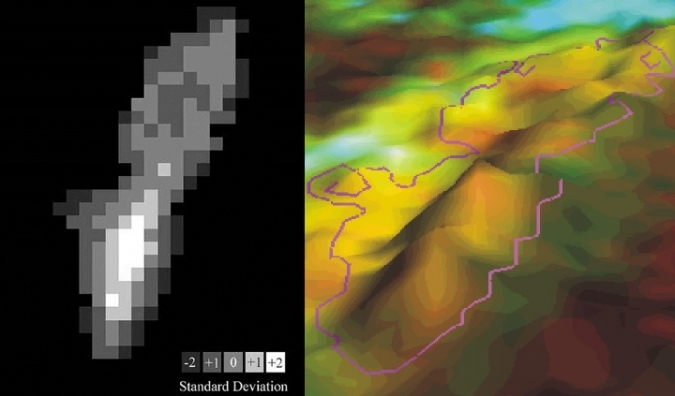 He uses a timed series of data from Landsat images to work out the temporal texture - a map that identified changes based on analysing statistics from the reflectance data. Although the type of change cannot be identified, Dr Dustan can locate where major changes have taken place and these often indicate reef decline. Dr Dustan says temporal texture maps provide scientists with a new method of examining coral reefs. 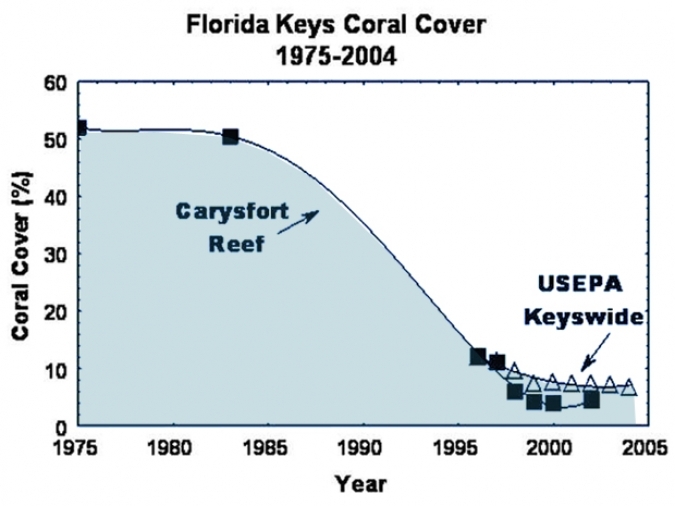 One example is at Carysfort Reef, in Florida Keys. From 1974 to 1999, research from Dr Dustan and colleagues showed the coral had declined a massive 92%, due to fatal diseases and other factors. Using 30 Landsat images from 1982-1996, Dr Dustan created temporal texture maps, which identified areas that were known to have suffered major coral loss and that the seaward shallow areas fared worst. The repeated calibration of Landsat images ensures consistency. At least eight Landsat images are needed for a reliable temporal texture map, but the more used, the better. The launch of Landsat 7 in 1999 allowed images of coral reefs to be regularly captured and the first survey of worldwide reefs was completed by the Millennium Global Coral Reef Mapping Project. In future, it is hoped that more historic images of reefs can be added, as countries outside America may have more Landsat images of their reefs on record. The Landsat Program includes various satellite missions, managed by the North American Space Agency and the US Geological Survey, that observe the Earth. Landsat satellites were first launched in 1972.